#FoodReview: We Treated Our Punjabi Belly With The Unlimited Lunch Meal @ Dhaba By Claridges! Punjabi food has its own charm - loaded with tons of garlic, ginger, onion and chillies, this cuisine undoubtedly feeds the soul! And we were hankering for a real meal (and by real we’re of course referring to satisfying Punjabi food) and we went by Dhaba By Claridges in Epicuria, Nehru Place to feast like a Punjabi for their unlimited lunch meal deal called ‘Da Lunch Bomb’. Read on to know our verdict! First up was a vegetarian starter - Bhuna Aloo. 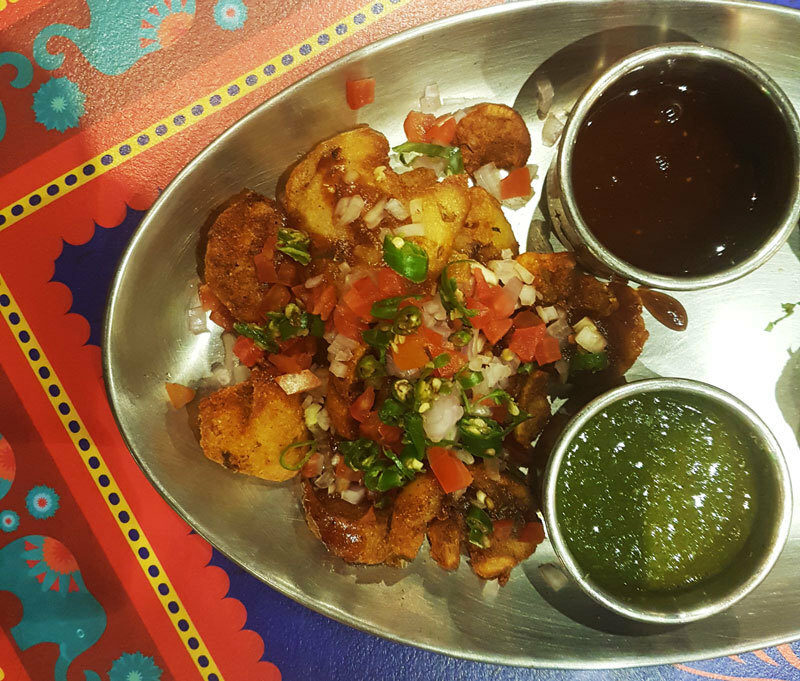 We thought it’d be like the usual aloo dishes you get, but it turned out that it had much more to it! Crispy on the outside and mushy on the inside, this one tasted like the ones you get in your tasty aloo chaat plates. But these were a healthier version of ‘em, as it was shallow fried and decidedly delicious! Next up was the vegetarian version of your much-loved galouti kebab. 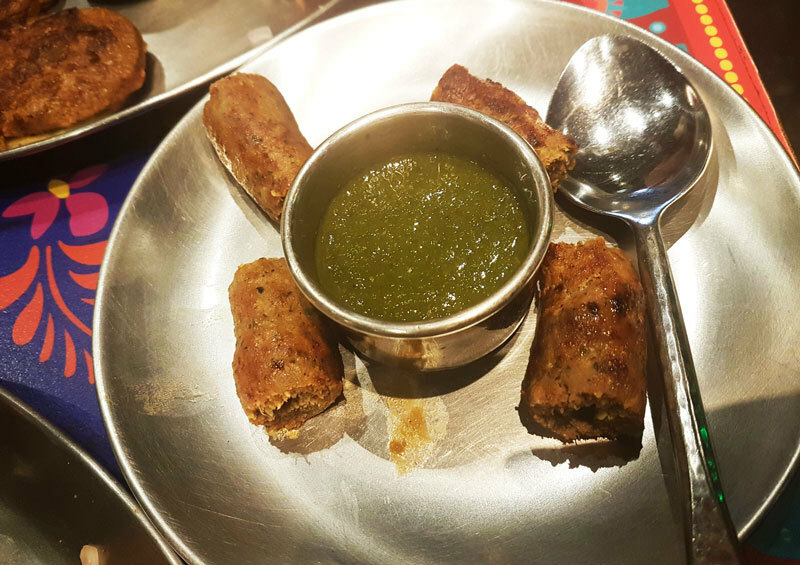 Made with rajma and served with a mini chapati and the quintessential coriander chutney along with fresh onions, we could taste the mushy and soft rajma in the kebabs in every bite - mouthwatering is the word we’d use to describe this one peeps! Aren't you enticed by the very name? Well, so were we! 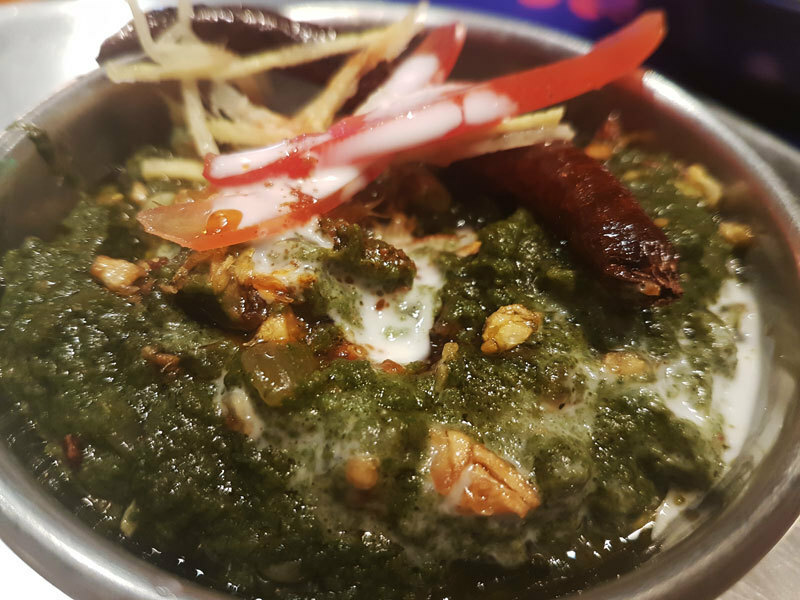 The Palak Paneer Sheekh at Dhaba By Claridges was certainly one of a kind. 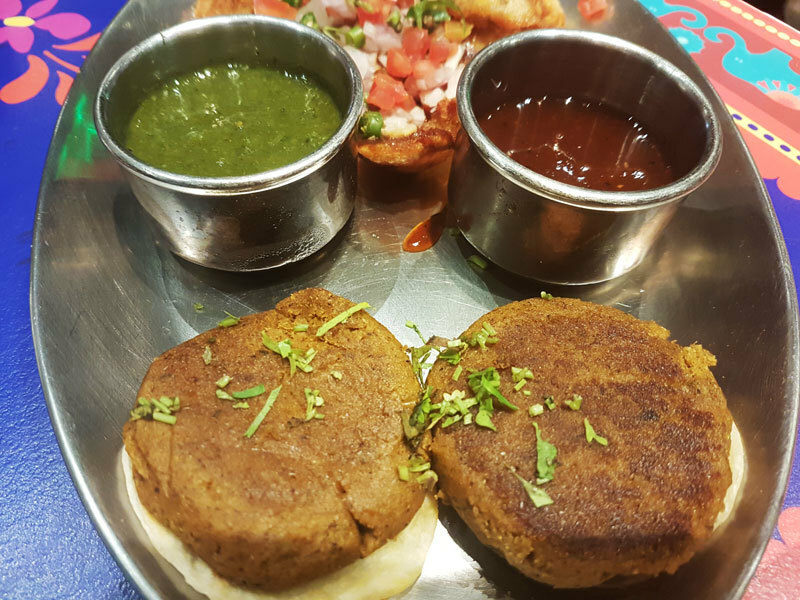 They looked like the usual hara bhara kebab and were served with the requisite green chutney and onion rings. 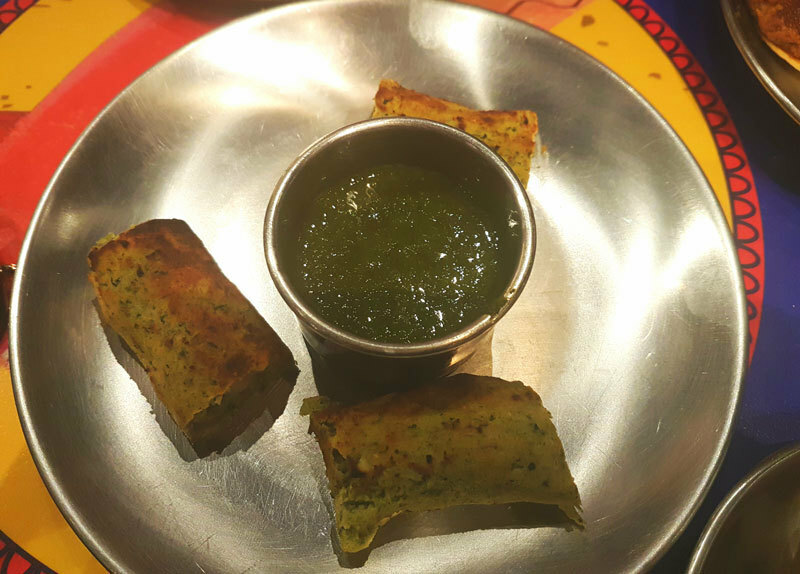 Every bite of it was super nummy and dissolved in our mouth in no time, giving us an amazing palak paneer experience. Next up was the scrumptious main course dish called Palak Lasooni Chicken. Topped with chunks of garlic and ginger shavings, dried red chilli and festooned with cream, it looked utterly scrumptious! The palak was smooth and was blended well with the Punjabi spices. Plus, it had big fat pieces of juicy chicken that made us go gaga over it! We really couldn’t leave without devouring their Mutton Seekh Kebabs, and so we ordered a plateful! It was served with quintessential coriander chutney and loads of onions. The seekh was really soft and moist and didn’t dry up at all, unlike the mediocre seekhs you get elsewhere. Every bite of it was super yummy! What looked like shahi paneer at first glance was our next dish, Matar Paneer. 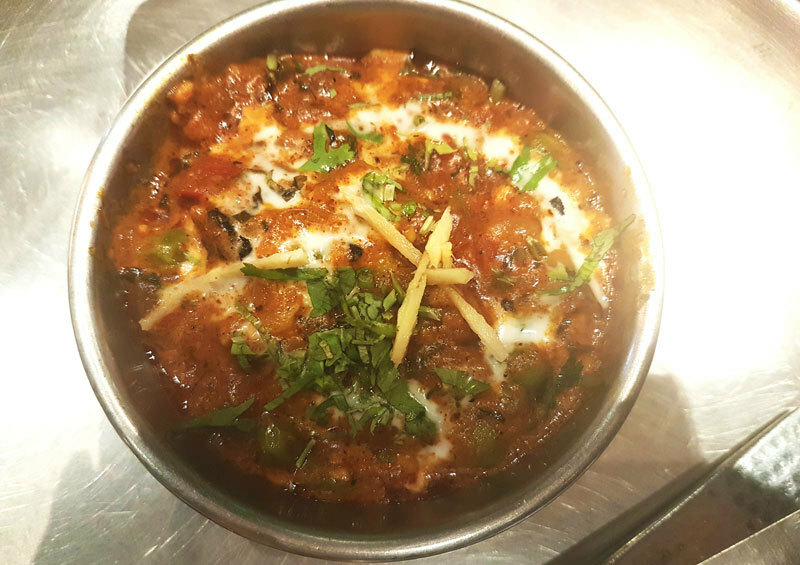 The gravy was thick, the paneer fresh, the matar soft and it was topped with loads of cream - just like we like it! If matar paneer was this good everywhere, then we must say with the utmost certainty that this would have been our favourite dish! 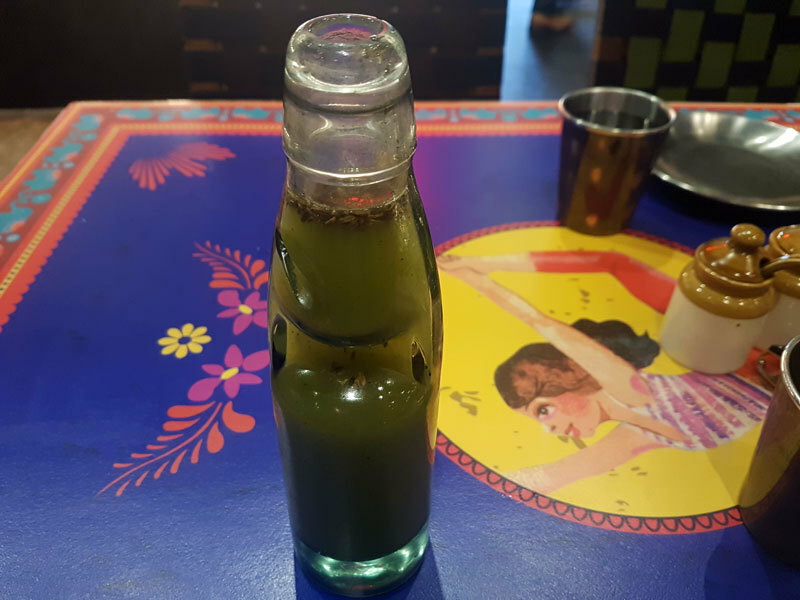 With our grand and heavy meal well underway, we were in dire need of something to nicely was it down with, and that's when our refreshing Aam Panna arrived. It was served in the traditional banta bottle and we loved it! The drink was a perfect blend of sweet and sour, and had roasted cumin in it, which made it thoroughly refreshing. We were served with a big range of Indian breads namely Missi Roti, Butter Naan, Dhabe Di Roti and Garlic Naan. The Missi Roti had the quintessential coriander flavour that easily won over our taste buds. The Butter Naan was soft and was worlds away from the rubber-like texture you get at most other places. 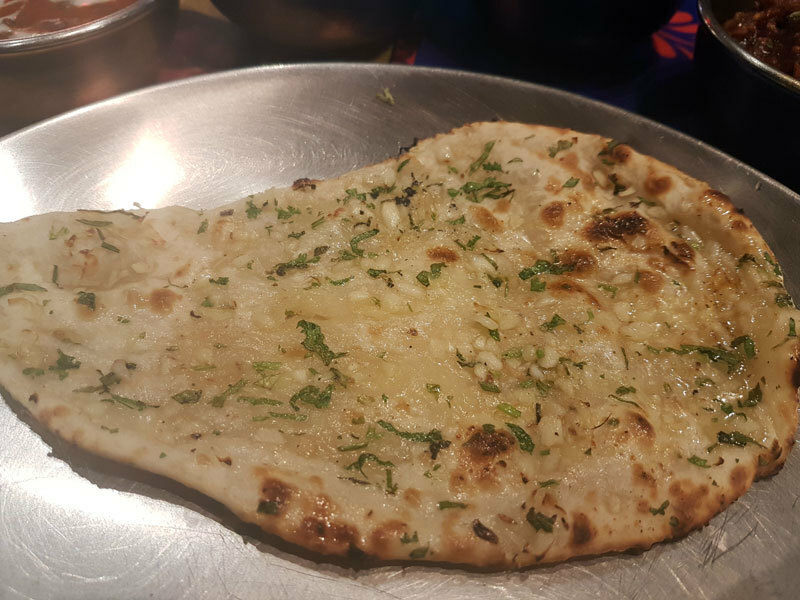 The Garlic Naan had chunks of garlic and loads of coriander leaves (yummy), and we could have literally eaten this bread without having dipped it in any dish! The Dhabe Ki Roti was a khameeri roti, and people who have a taste for khameera dough will certainly like this one! Topped with pistachio shavings, their Gulab Jamun looked nice, fat and tempting. On digging into it, we discovered that it was pillowy soft. 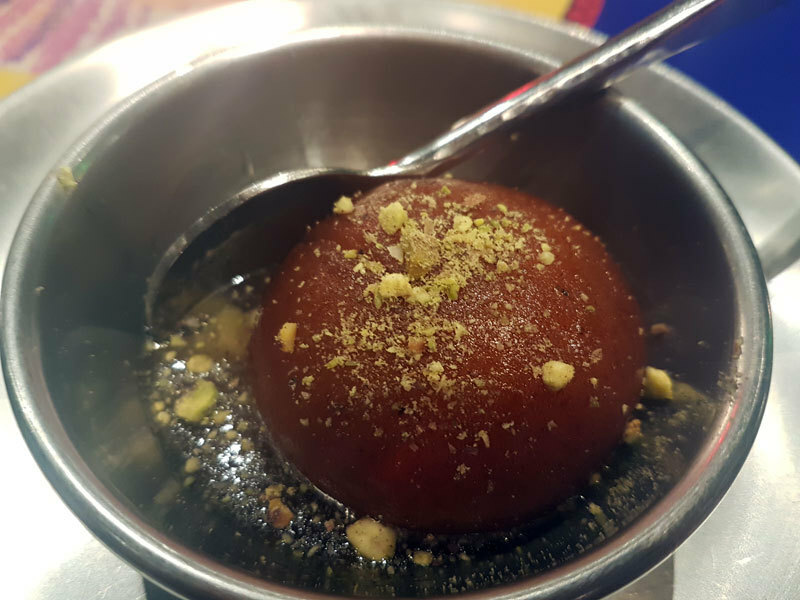 It wasn't too sweet like other gulab jamuns and so we devoured it all in a jiffy! Infused with truck loads of garlic, onions, ginger and that Punjabi tadka, Da Lunch Bomb at Dhaba By Claridges satisfied our tummy and tastebuds to the fullest!